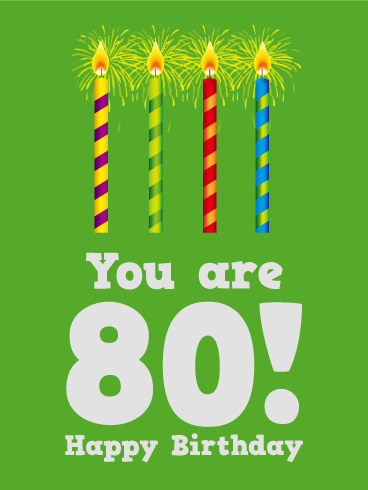 In case they need a reminder, send this shocking/funny birthday card to let the birthday boy or girl know they are getting old! It's sleek, it's silly, and it's super fun. 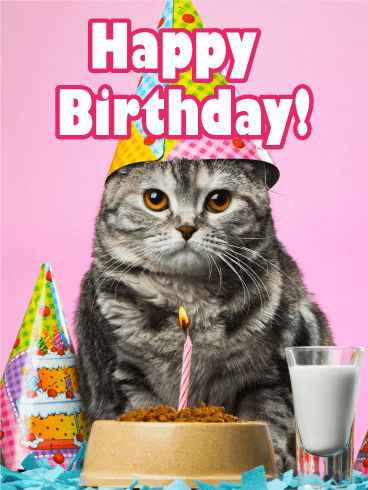 Look no further, send a funny birthday card now and get the party started! What a fantastic reason to celebrate! Someone is turning the big 80! 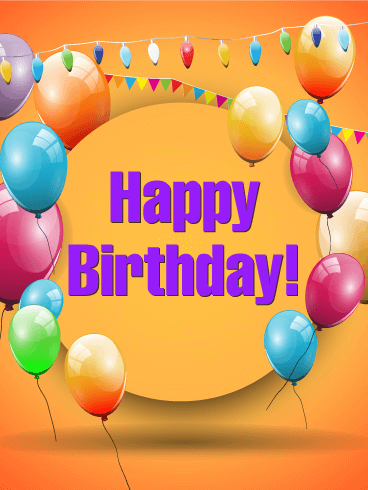 How about some brightly colored gleaming candles on the cake…and the birthday card? After so many years of so many wonderful memories, they will surely appreciate a card like this to commemorate the day. 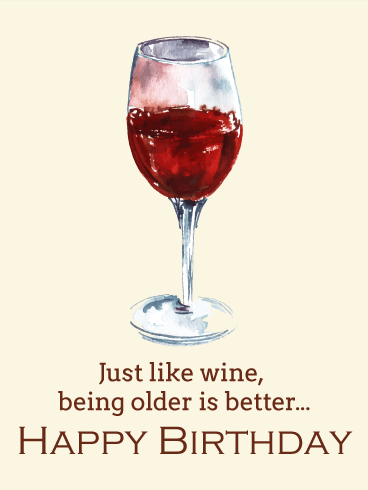 For the wine connoisseur in your life-or just someone who loves a good joke-grab up this birthday card! While the birthday card is humorous in nature, it still also shows that you're thinking of the person on their special day. The drawing of the wine glass itself is beautiful, with watercolor elements, making this birthday card the perfect balance of elegance and simplicity. 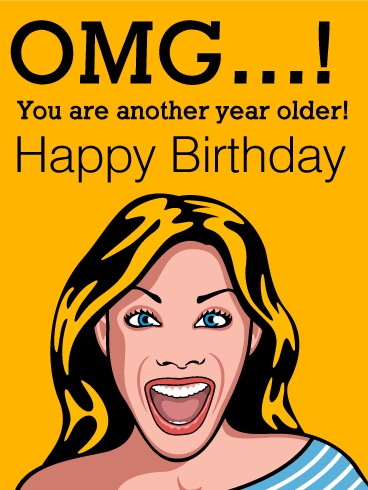 Not only is this birthday card fun, it's also funny. 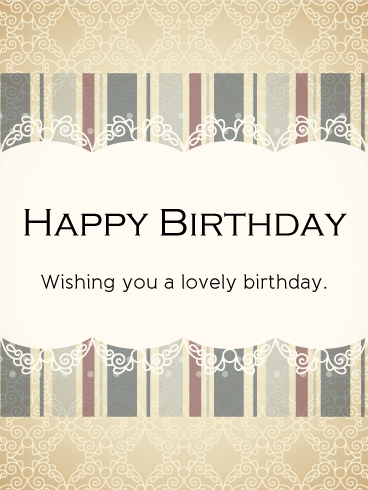 Send it now if you're struggling to find the perfect birthday card. If it says it's funny, in a burst of confetti, I mean... it must be true, right? Right. You're welcome. A sarcastic/funny birthday card is always a good idea. Fun and festive! Light up someone's special day with this eye-catching birthday card. Glossy balloons, birthday banners, and a string of lights are everything you need to wish someone a "Happy Birthday!" 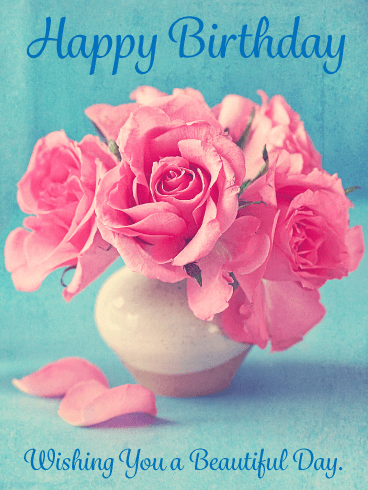 Send this birthday card and celebrate a special person in your life. Just think of all the memories… the great times, the adventures, the friends, the milestones…that you can collect over 90 years. That's a lot of living! 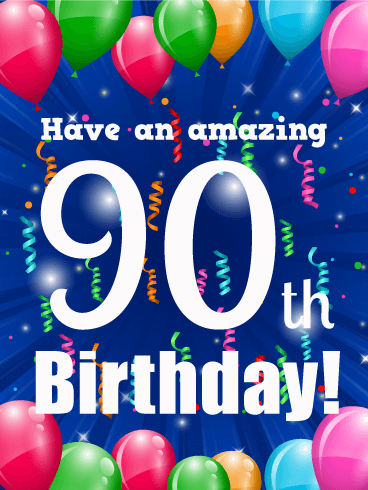 This birthday card, and its bright and colorful streamers and candles, will wish your loved one a very happy 90th on their special day! Talk about a real milestone birthday. 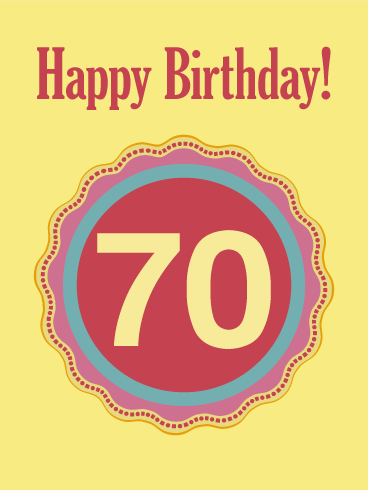 It's not every day that someone turns 70, you know! 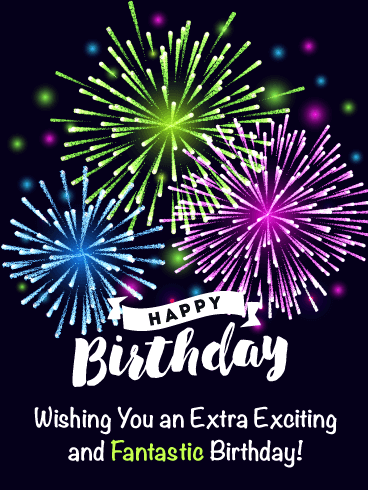 So make sure that you make the day extra special by giving the extra special birthday boy or girl a birthday card as beautiful as this. Lordy, lordy look who's Forty! 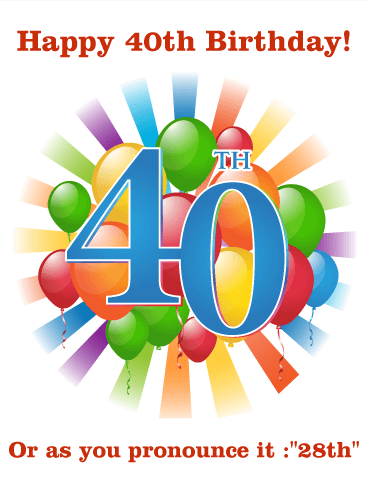 Turning 40 is nothing to be scared of with this bright and funny birthday card. You're only as old as you think you are. 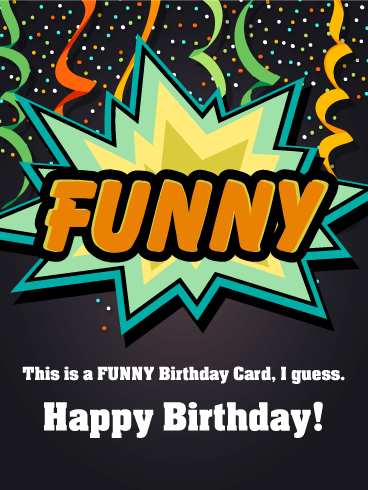 Send this colorful birthday card to the friend who likes to laugh and doesn't take themselves too seriously! Often times, it's the thought that counts. And that someone special will know you were thinking of them with this card. 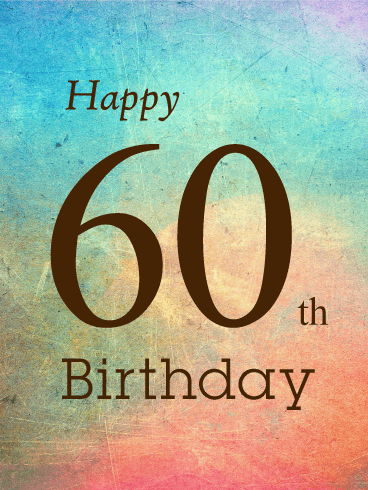 Lovely and soft shades of oranges, greens, blues, and purples are a stunning background for your Happy 60th Birthday wish.